North Korea’s top diplomat has called US President Donald Trump’s speech to the UN “the sound of a barking dog”. 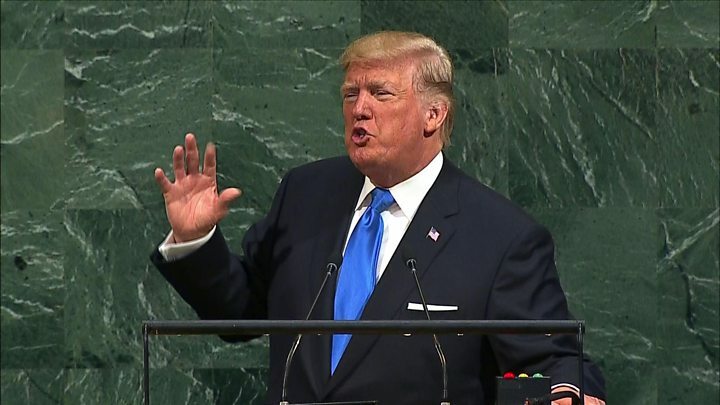 Speaking to the UN General Assembly on Tuesday, Mr Trump said he would “totally destroy” North Korea if it posed a threat to the US or its allies. Foreign Minister Ri Yong-ho’s comments were North Korea’s first official response to the speech. Mr Ri is set to make a speech to the UN on Friday. Separately, on Thursday South Korea said it would send fresh humanitarian aid to the North for the first time in nearly two years. The unification ministry in Seoul plans to provide $8m (£6m) through UN programmes aimed at children, pregnant women and improving medical supplies. 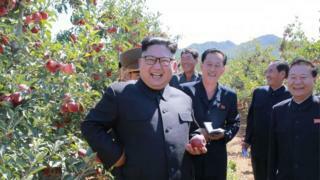 The decision comes days after the UN approved new sanctions against Pyongyang, restricting oil imports and banning textile exports – an attempt to starve the North of fuel and income for its weapons programmes. The UN sanctions came in response to the North’s latest nuclear test on 3 September.